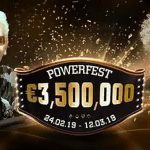 Following the success of its PowerFest series, Party Poker has announced the site will host a further major tournament series between 21st and 31st October. There will be some fairly happy faces at Party Poker this morning. After three weeks of non-stop action and with just one event to go, this month´s PowerFest series has been a spectacular success. The massive overlays that blighted the last PowerFest series in May were largely avoided, and even the Ladies event managed to hit its guarantee after a poor initial response to the event. Prompted by the success of “the biggest PowerFest in history”, Party Poker has announced a further major tournament series for the end of next month – the Monster Series. The Monster series will take place between Saturday October 21st and Tuesday October 31st, and consist of 140 events guaranteeing $5 million in prize money. The Monster Series is really two mini-series rolled into one. A micro-level schedule of tournaments and a mid-level schedule of tournaments will run in tandem over the eleven days of action, giving players the choice of which price level they want to buy in at – if not both. Typically the micro-level events have a buy-in one-tenth of the mid-level events, but the comparative prize pools vary considerably. 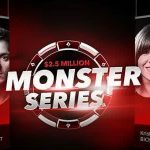 The two Monster series schedules contain a good mix of formats and disciplines, and include four phased tournaments that include the opportunity for players to share in a guaranteed prize pool of $50,000 for a buy-in of just $1.10 (Micro Event #6) and/or share in a guaranteed prize pool of $300,000 for a buy-in of $22.00 (Mid Event #44). Naturally the most popular tournaments in Party Poker´s Monster Series will be the two Main Events that take place simultaneously at 6:00pm on Sunday 29th October. 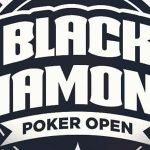 The Micro version of the feature tournament has a buy-in of $22.00 and a guaranteed prize pool of $300,000, while the Mid version has a buy-in of $215.00 and carries a massive $1 million prize pool. Prior to the Monster Series getting underway, Party Poker is hosting a three-tier rake race promotion for players participating in its fast-fold fastforward cash games. 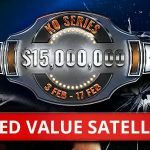 The promotion will pay out more than $100,000 in cash prizes and Monster Series tournament tickets to 250 players divided over three tiers – Low-stakes (up to $0.05/$0.10), Mid-stakes (up to $0.25/$0..50) and High-stakes ($0.50/$1.00 upwards). In order to cash in the promotion, players have to finish within the top one hundred places on their respective leaderboards (top fifty places in the High-stakes leaderboard). Points are awarded for each $1.00 paid in rake (or fraction thereof) and the top prizes are really worth having a shot at – the three leaderboard winners will receive $1,250, $3,000 and $10,000 in cash respectively. The promotion runs from Thursday 12th October to Sunday 22nd October for Low- and Mid-stakes players, and from Saturday 21st October to Tuesday 31st October for High-stakes players. Party Poker has not stipulated that players have to opt into this promotion in order for their points to count towards their leaderboard position, but we recommend checking the promotions page of the poker client at the start of the promotion just to make sure. 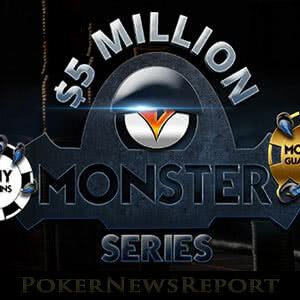 The Party Poker client has not yet been populated with the events in the Monster Series and the satellites that will feed into them. We assume that will happen just as soon as the good folk at Party Poker Towers finish slapping each other on the back for a successful PowerFest series. In the meantime, if you have not yet taken advantage of Party Poker´s first deposit bonus offer, you have several weeks before the start of the Monster Series to build up your bankroll before the action gets underway.